Several members of No More Cages are undertaking professional development as assistant tutors with us at the Tolbooth Trad workshops – they are available for performances and commissions. No More Cages is the name of our advanced trad band who ‘officially’ ended in 2014 with a big exchange event with Young Folk from Bonn in Germany, and a filmed concert at the Tolbooth. Many members of the trad band have gone on to study music and art at higher education level. 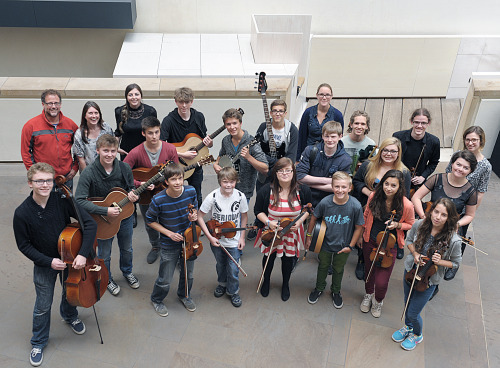 Brilliant young musicians and a lovely bunch too. Over the years they played a range of high profile concerts and commissions and toured in Scotland and Germany.